As the southernmost Scandinavian country Denmark has the mildest climate of all of Scandinavia. Despite its balmy weather, Denmark’s culture is quite the opposite. It is the quintessential country of diversity. Its capital of Copenhagen is a conglomeration of both contemporary and classic Danish design, with an old-town feel. Denmark is a great place for students to study abroad. Programs are very engaging and cover a variety of disciplines- sometimes more than one at a time. Another great feature is that most are taught in English. So, if you don’t speak Danish but still want to study in Denmark, you have every chance to do so. If money is an issue check out a few of these scholarships to help get you going. Can you think of anything more exciting than studying in a foreign country that you’ve never been to before? What about if you went on somebody else’s dime? Well, with many students unable to afford study abroad programs the government offers scholarship programs to make it possible for all students to participate. The Benjamin A. Gilman International Scholarships are one of the best ways to get funding for study abroad programs. Each year, over 2,300 of these scholarships are awarded to students who otherwise would not be able to travel. To be eligible for this award, students must already be receiving Federal Pell Grants. This is because the Gilman Scholarships focus on diversifying the students who participate in study abroad programs. They are especially interested in awarding scholarships to students with high financial need, who come from diverse backgrounds, community college students, and students with disabilities. Students from these groups are largely underrepresented in these kinds of international programs. The average amount awarded by the Gilman Scholarships is $4,000, and the max award is $5,000. With this amount of funding available, you would be crazy not to apply! DIS Scholarship- this is a needs-based only scholarship. It provides up to $5,000 per semester and from $250-$1,000 for summer semesters. Diversity Scholarship- this scholarship is also need-based and is designed to give support to students who come from groups that aren’t as largely represented in study abroad programs. Students who come from diverse ethnic, racial, cultural, economic, education backgrounds are encouraged to apply. 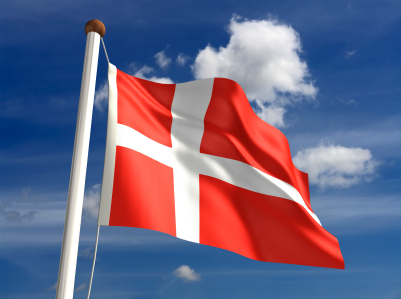 Study Abroad in Denmark Scholarship- Provided by Upper Midwest Rebild Scholarship Corporation, this award pays up to $3,000 to a U.S. student who comes from a Danish background or has a commitment to Danish studies. The Denmark Scholarship strives to further build the cultural and friendship ties between America and Denmark. There are also stud abroad scholarships available through universities. The University of Connecticut, for example, offers the David Woods Scholarship fund in Denmark. 10 of these scholarships are awarded each semester to students interested in participating in DIS. This award provides $3,000 in funding. You are not directly awarded these funds, however. They deduct the $3,000 straight from your DIS bill. If you’ve received money from the government and your school but still need a little help, you should look to private lenders for that last bit. The American-Scandinavian Foundation is one of the best private lenders around. They aim to build the cultural and education link between the U.S. and Scandinavian countries by providing many fellowships, grants, and internship/ training programs. They offer fellowships that provide up to $23,000 in funding for American students to conduct research or study in one or more Scandinavian countries.